The most meaningful video that the bride and her parents could ever ask for. Showcasing her growth from birth to present day, Babul wedding invitation celebrates the dichotomy between jubilation and hushed sobs gripping the bride’s family, especially the father. Heartwarming HD Video. Customise with 25 photos. Add more functions like sagan, sangeet, cocktail etc. You may also add specifics other than the options given above. Like Names of Grandparents, Time for Doli, Reception of Barat etc. 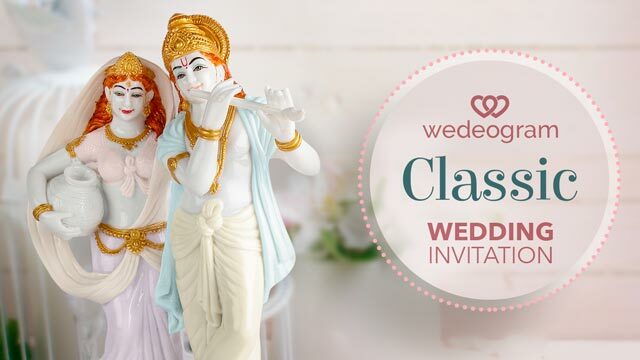 If you are facing any issues in uploading the photos and videos here, you can mail them to us at photos@wedeogram.com mentioning your order id or simply request a callback from below. 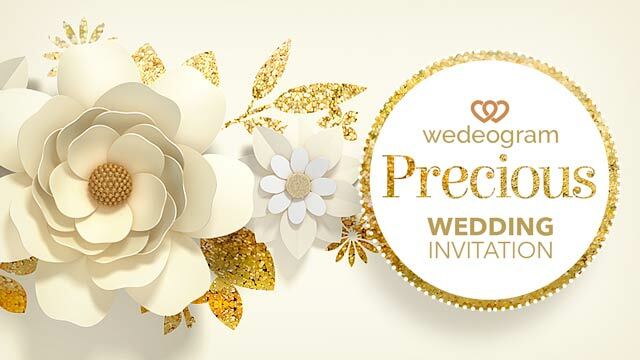 Honestly speaking, this video might just not be for you if you’re looking for a Wedding invitation Video that’s flashy or loud in terms of colour and music with the sole purpose of flaunting. What makes Babul wedding invitation inimitable is not just the story that it tells, but the warmth and honesty with which it wins hearts. Make sure to use only your most memorable photos in it such as celebrating a landmark year or beginning of a new phase. This is certainly not a slideshow. It’s that part of your life that you mostly took for granted. 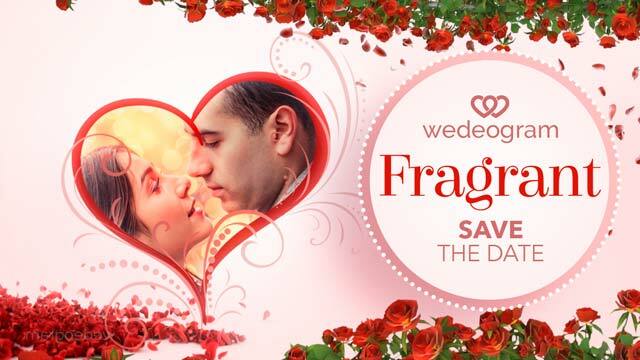 Just put aside all the fears and melancholy to celebrate your happy memories and send this heart warming wedding invitation which surely will become a treasure for your entire family in the years to come. This intriguing video will leave your guests spellbound and all their wishes and blessings will start pouring in long before the big day! Use upto 25 of your most memorable photos. (Around 20 of the family and 5 of the to-be-married couple). Now obviously, most of your photos will be old, pale and full of scratches. Just don’t worry, simply scan them or photograph them and upload. We will retouch them before using them in the video. You may upload video clips too. Just give us a call and we may ease the effort even further. Though you may suggest a different background music for the video we recommend the default one. 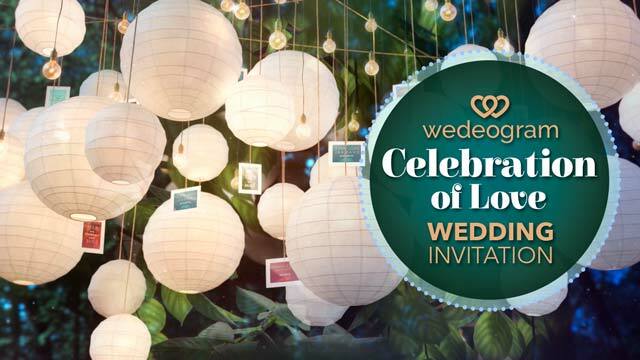 Start Customising Babul Wedding Video Invite? Click the START NOW button to add names, day, time, venue of the Wedding along with your photos (old and new) into a form listed above. Add Names of the Bride, Groom and the Parents. You may add more names too or you can email us the list. Add the Date, Time and Venue for the Wedding. You can also add more details. Upload Photos or videos for personalisation.In case you face any difficulties, please don’t hesitate to get in touch with us. 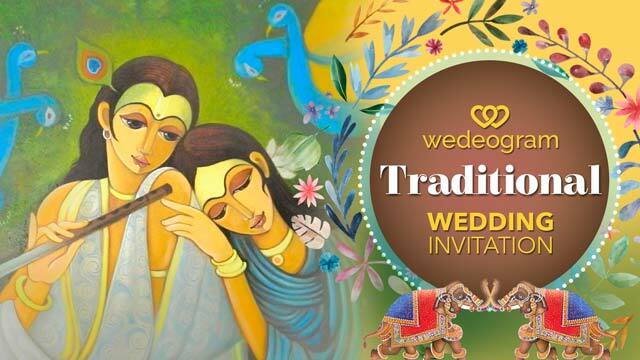 This video is special and needs more care and effort from both you as well as us at wedeogram. We suggest you get in touch with us while placing order. We will deliver your personalised video within 48 hours in your inbox. Please make sure to enter correct phone number and email id while ordering as your video will be delivered on these. Yeah! Warm and Cosy? Bright and Sunny? That’s what Babul has ever wished for. More Info on BABUL Invite?